This large mural was hung on the wall outside my office for many years back in the 1960's. It was about 4 ft by 5 ft. I always liked to look at the Banshees, Demons and Phantom IIs! A copy of the Illustrated Assembly Breakdown for the Vought F4U-4 aircraft. Dated 1 September 1944. A copy of the Pilot's Handbook, AN 01-45HA-1, for the Vought F4U-1/C/D, FG-1/D, F3A-1/D & British Corsair I-IV aircraft. Dated 1944. A copy of the Pilot's Manual for the Vought F4U aircraft. 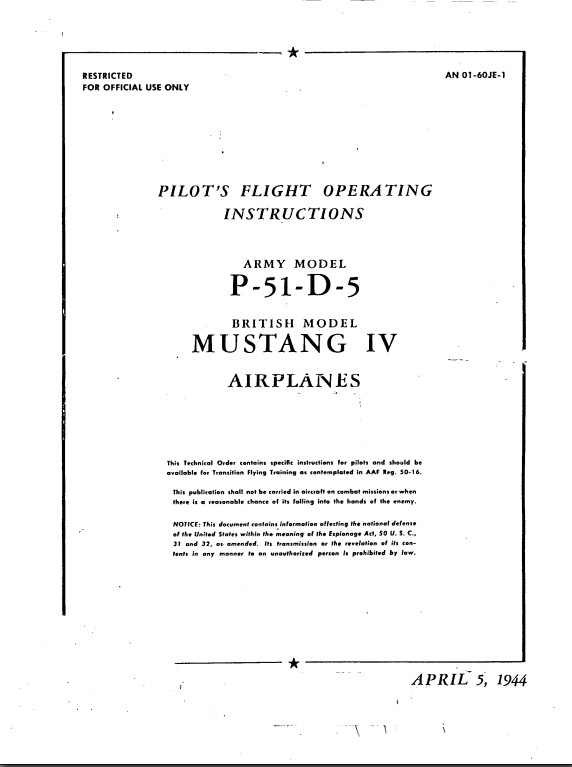 A copy of the Pilot Training Manual, AAF 51-127-5, for the North American P-51 aircraft. Dated 15 Aug 1945. A copy of the Sikorsky UH-60A/L & EH-60A Operators Manual, TM 1-1520-237-10. Dated 31 October 1996. A copy of T.O. No. 1F-F-51D-1 of the Flight Handbook on the North American F-51D aircraft, dated 20 January 1954. A copy of AN01-60JE-1 for the Pilot's Flight Operating Instructions on the North American P-51D/Mustang IV aircraft, dated 5 April 1944. A copy of AN01-60JE-2 for the Erection and Maintenance Instructions on the North American P-51D/K/Mustang IV aircraft, dated 1944. An interesting pre-war U. S. Army Air Corp Recruiting Poster from 1939. A 30th anniversary booklet for the Skylab, Americas first space station. Has astronaut bios and Skylab accomplishments. Dated 2003. WWII and late 40's Air Trails color cover photos. Great color photos of aircraft and aviation themes. Excellent F/A-18A 3-View Drawings from the April 1986 Aviation News magazine "Warpaint" series. Drawings by Enzo Maio. For my German F-4 lovers, a very nice German F-4F Cut-A-Way drawing. "This partial ﬂight manual has been prepared to include the information necessary for safe and efﬁcient operation of the C-130E airplanes which have been modiﬁed to include the AN/APN-I69A Intraformation Positioning Set; which is commonly known as the stationkeeper or SKE. This partial manual is incomplete without T.O. 1C-130B-1." 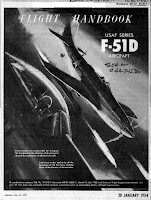 Updated and corrected - John Brooks published three articles in Crazed Plastic #13, 14, and 16, detailing the military aircraft at Lambert Field from 1946 to 1963. These included Naval Air Station St. Louis and the 110th Squadron of the Missouri Air National Guard. I have listed all three articles under one heading for your convenience.